They speak Kashmiri but also are often fluent in Hindi and English. Several associations serve the Kashmiri people in the United States: namely, the Kashmiri Overseas Association and the Kashmiri Hindu Association. The majority of Kashmiri are Muslim. However, a significant percentage adhere to Hindusim in the United States. The Muslim and Hindu peoples of Kashmir have lived in relative harmony and friendliness since the 13th century when Islam first became the majority religion in Kashmir. Pray God will intervene in the lives of Kashmiri people via dreams and other miraculous means to reveal the truth found in Jesus Christ. Pray Christians will carefully examine who their neighbors are from India. More than likely, some are either Muslim or Hindu Kashmiri people. 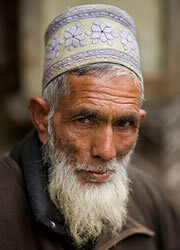 Pray God will call out laborers to live among and minister to the Kashmiri people.